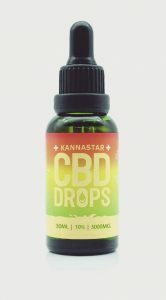 CBD Oil Review rates The KannaStar CBD Brand with one star because it qualifies for the Mission Badge. Poland-based KannaStar offers a bevy of cannabidiol extraction and OEM services to CBD oil companies across the EU. Unfortunately, the site doesn’t offer any way for a potential customer to buy any of its actual products—which include a decently wide range of CBD-infused items. Links to the company’s actual store lead to a website that no longer exists. And information on hemp sourcing, as well as results of third-party lab testing, are also sparse—or nonexistent. 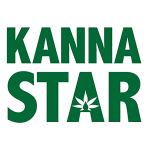 The founders of KannaStar set up shop in 2009, but moved operations to Europe in 2016, to get closer to better hemp materials and extracts. And the following year, the company began a CBD extraction and production facility in Poland. Today, the European manufacturer specializes in those extraction methods and offers OEM services to other CBD oil sellers, including bottling, packaging, and labeling. Several extraction methods are used at its facilities, including both the ethanol and CO2 methods, though the company says the results are full-spectrum CBD oil. KannaStar also sells a few products of their own—we think. 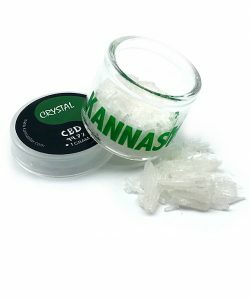 The company includes pictures and descriptions, albeit brief ones, on a number of cannabidiol-related goods, including full spectrum distillate CBD oil, CBD vape pen cartridges and e-liquid, cannabidiol wax crumble, CBD crystals, and CBD paste. Any attempt to purchase these products, however, lead to a defunct WordPress website. Ditto for links to any information on wholesale or distributor options. Bottom line: KannaStar may have many distribution partners in Europe, but it seems much more difficult for a potential customer to get ahold of their products. Several links on the website—including those that would lead to the company’s actual store—are currently defunct. And while the company offers a decent amount of information on its extraction methods, there’s little in the way of where it’s hemp is actually sourced from, making it difficult to award our safety badge. (The abject absence of third-party lab test results makes our safety badge a no-go, as well.) We’d love to see some more details about KannaStar’s operations, and possibly even be given the chance to purchase some of their items. The European company hopes to “turn green to gold” by offering the best of the cannabis plant to the world. The company believes in the potential of cannabidiol—and hemp generally—in making better food, fuel, fiber and medicine and wants to use its products to create a healthier, happier planet.